"As the floodwaters rise on London, a first-time mother takes her newborn son and flees for higher ground, seeking a safe haven from the environmental collapse and the chaos that will follow it. 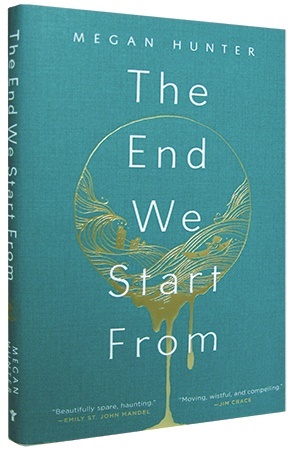 Luminous and sparse, heartbreaking yet hopeful, The End We Start From is a lyrical rumination on environment, normalcy in the midst of crisis, new motherhood, unavoidable endings, and tentative beginnings. A slim and stunning debut whose echoes will be thunderous." 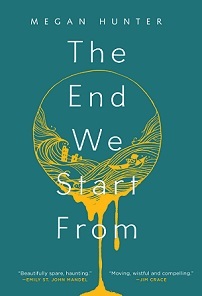 Megan Hunter's dystopic debut novel The End We Start From (Grove Press, November 7) is booksellers' number-one pick for the November Indie Next List. Written in a poetry-prose hybrid that resembles fragments of a diary, this modern-day parable opens with an unnamed woman giving birth to her first child, Z, as London is overtaken by catastrophic flooding. The journey of mother and son in search of refuge from the rising water is punctuated by moments of humanity and kindness, and Z thrives against all odds, even as civilization crumbles, the sea overtakes the land, and dangerous crowds clamor for basic supplies. Hunter lives in Cambridge, England, with her two young children. She has a bachelor of arts degree in English Literature from Sussex University and a masters of philosophy degree in English Literature: Criticism and Culture from Jesus College, Cambridge. 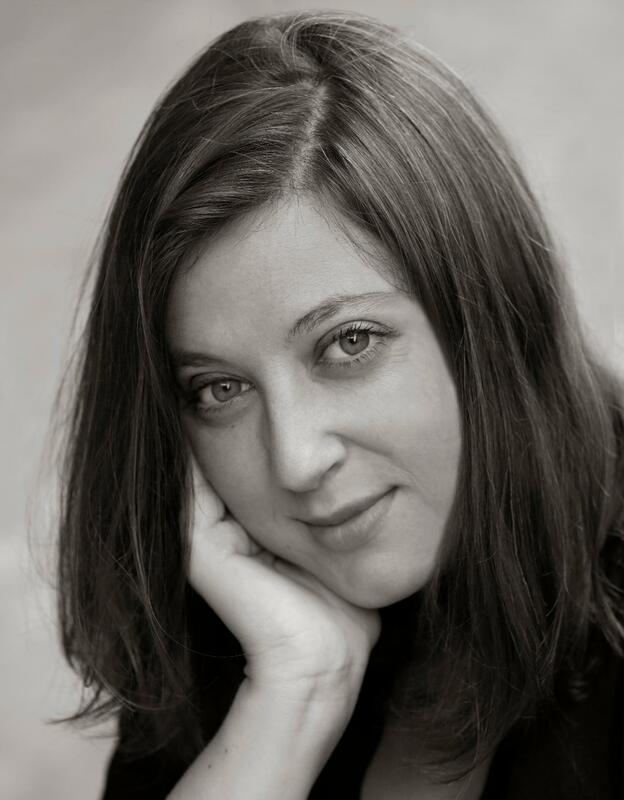 Her poetry has been shortlisted for the Bridport Prize, and she was a finalist for the Aesthetica Creative Writing Award for her short story "Selfing." 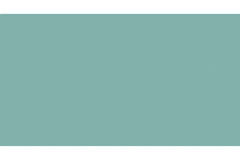 The End We Start From was pre-empted by publishers from around the world following the 2016 London Book Fair. It was published in the U.K. in May and film rights have been sold; it was also an Indies Introduce Summer/Fall 2017 selection. Here, Hunter talks about the book's unique, stripped-down style, her book's parallels to the recent hurricanes in the Americas, and the singular nature of a mother's love. Where did the idea come from for this story? I was actually writing a longer novel about successive generations of women giving birth. This was going to be one of the generations of women who was giving birth slightly in the future, as I imagined her. The rest of the novel was of a fairly conventional style, but this part just seemed to have its own life and its own momentum. So it sort of emerged from some kind of idea of a larger work. I'd been thinking about disaster for a while and reading novels about it, and thinking about motherhood, too, so it was just bringing those two things together, setting them side by side and thinking, "Well, what would happen if you just had a newborn baby..." and using the inherent drama of that. The novel begins and she's literally hours from birth; there's that whole kind of intrinsic drama of birth set alongside the extraordinary situation of this catastrophe. All the energy kind of comes from putting those two things together. Some of the horrific scenes depicted in your book seem a bit too familiar, especially after parts of Houston, Florida, the Caribbean islands, and Puerto Rico were devastated by hurricanes in recent months. Have you been watching the news in the U.K. and thinking about the parallels? Yes, I've been seeing lots of reports and it's horrific, really. I've been aware of catastrophic flooding in other parts of the world, in the U.K., as well as the flooding with Hurricane Katrina, and I've also been hearing reports about the refugee crisis. I don't think I thought this through consciously before I wrote it, but I think what I was trying to do was process these things that I was hearing about in a very distant way but bringing them very, very close to home, and to imagine, what if that happened to somebody like me? A lot of it is about the emotional impact. The book is fairly light on detail, but what I was trying to imagine and to fictionalize was the emotional, existential impact of a disaster like that. As you intimated, it's not really explained in the book why the flood happens. Was climate change on your mind when you wrote the book? Yes, definitely. I've been concerned about climate change for most of my life, and I think when you have children you begin to think, I'm not going to be living until 2100 but my children may be. You start to think about that as a real thing; it's not a distant possibility anymore. And this is all becoming more and more real with the extreme weather that's been happening. That was one of the reasons why it was important to me that it was a flood because that is one of the main risks of climate change, with sea levels rising, so it's become a very realistic possibility. The other reason it was a flood is for the metaphorical weight of a flood and the link to the woman's body--the waters of life, the amniotic fluid. The world floods and her water breaks at the same time so there is that link between the two events. Phrases in italics are interspersed throughout the text that tell the story of Noah and the ark along with other stories that reference the earth's creation. Were these actual passages from the Bible or are they your reinterpretations? They're mainly adaptations. Some are from the Bible but most of them are adapted from the many diverse creation myths from around the world that come from lots of different countries and cultures, mainly from that mythological period prior to the Bible. But there is the odd passage from the Bible, and obviously there is the reference to the biblical flood. It's a very, very common story. An alternative title for the book at one point was The Earth Diver, which I found to be the most common creation myth around the world. It's found in lots of very geographically separated countries: the myth of some kind of creature going down into the water and bringing back a scrap of material that then becomes the whole world. One of the other ideas in the book is how people coexist during disasters, from changes in the dynamics of families to the creation of a mob mentality. In writing this book, did you also attempt to explore the way disaster affects human behavior? I think the whole book was me interrogating my sense of how we relate to each other when we're in particularly extreme situations. I think the book has a very pessimistic view of mass groups of people, of crowds, and I suppose that reflects my sense of global inequality and global injustice but also the day-to-day callousness of people not taking care of each other at that public or communal level. But I'm not a hopeless person; I know there's a huge amount of amazing kindness and heroism in the world and examples of people putting others before themselves. So I hope I've also shown some hopeful examples of people banding together when it's not just for their own benefit. There is also ultimately this relationship at the core of the book between mother and child. The mother in the book is very much putting the child's life, in a sense, above her own, as you do. With that, I was just thinking about how when you have a child you have this incredible love for them; it operates on that one-to-one basis, but how does that translate into how we relate to the rest of the world, and how much further does that go? It's something that I've thought about quite a lot when I had my children: that kind of overpowering, infinite love you have for one person. Why did you decide to only use first initials when referring to the book's characters? It just felt natural to me. I've kept a diary at points in my life and I've always referred to people by their initials. I would never write their full name; I wouldn't need to because obviously I know what their name is. To me, it reflects the intimacy of the text. There's also a sense of it being something like a fable or a parable whereby the people are kind of everywoman/everyman characters; so it's that as well. I didn't really find it a big deal when I wrote it, but I'm always asked about it now, so I know it's quite prominent in the book for people. Your title comes from a quote from T.S. Eliot's Four Quartets, which also prefaces the book: "What we call the beginning is often the end/And to make an end is to make a beginning/The end is where we start from." How did you choose this quote? "Even if you've never heard of Night Vale, I truly believe you'll enjoy It Devours! It's a book about science and religion. It's a book about belonging and how sometimes to truly understand what is happening, you may need an outsider's perspective. It's also a book about a friendly desert town that finds its way into some of the strangest predicaments, and the people who live there. In other words, it's superbly written science fiction that deserves to be read more than once." "In a landscape of despair, stuck in the logjam of the dull round of work, marriage, and raising a child, other emotions can command so much attention. This beautifully structured, spare study is Chekhovian, noirish, and quietly fraught. The minimal writing style is beautiful, and the tension is so carefully modulated that the aesthetic of rising unease is oddly comforting. But there is dread in the inevitable climax, and a thriller's tautness to the possible resolutions that steadily arise. A reader's delight--well-managed prose, excellent plotting, psychological suspense, and insightful character-building make this perfect for a winter night's reading." "Joe Hill delivers with Strange Weather, a collection of four novellas. Hill has developed a writing style akin to an oil slick--eerie sentences that leave behind something that shines unclean. There's nothing clean about Strange Weather; each tale is a horrific glimpse just beyond normalcy. Horror can often be best delivered as an understatement, luring the reader into a world that seems just reasonable enough. When Hill reveals his tricks (whether a magical camera or a cloud disguised as a UFO), they loom uncomfortably dark on the horizon. Fans of H.P. Lovecraft won't be disappointed with this collection." "American Wolf uncovers the true legacy of the American wolf's survival after its reintroduction into the Rockies after nearly becoming extinct in the 1920s. The book focuses on renowned wolf Six-O, who's unlike any female wolf that Yellowstone park ranger Rick McIntyre has ever seen. Many of Six-O's survival challenges are directly linked to the larger issue between those against the reintroduction of wolves and those who see wolves as an integral part of our ecosystem. Nate Blakeslee's American Wolf is an essential read for anyone interested in a fascinating piece of American history and learning more about an important issue that continues to plague the West." "The holidays are always a stressful time, but imagine being with your immediate family for a full seven days of quarantine! This is the premise of Hornak's Seven Days of Us. To ride out the weeklong quarantine imposed due to daughter Olivia's work treating patients of an epidemic in Liberia, the Birch family plans to spend the Christmas holiday in mother Emma's crumbling ancestral home, Weyfield Hall, in Norfolk. On top of isolation and the lack of escape, each member of the family is dealing with their own secrets. A wonderful tale full of humor and heartache and all the issues families deal with--love, longing, and regret. Sometimes being forced together gives you a new perspective on your family and yourself." "For anyone interested in climbing their own family tree, A.J. Jacobs' It's All Relative offers a lighthearted crash course into the addictive world of genealogy. Inspired by the record-breaking get-togethers of the Lilly clan and heartened by the theory that we're all related, Jacobs embarks on a quest to hold the world's largest family reunion. As Jacobs juggles the mechanics of such a massive undertaking, he interviews well-known researchers in the field, discovers famous 'cousins,' and considers some of the ethical issues of diving into an ancestor's past. An enjoyable introduction to genealogy and the living family tree." "Full of fantastic period detail and delightful prose, Mr. Dickens and His Carol is a wonderful companion to the enduring holiday classic A Christmas Carol. A month before Christmas, Charles Dickens is informed that his latest serial is a failure and he must produce a holiday story in one month's time or pay back his publishers for their losses. Beleaguered by his demanding relatives and expectant children, Dickens turns churlish and is unable to find any Christmas left within him to produce a fitting book. Fate intervenes when a mysterious woman crosses his path and becomes his much-needed muse, sending Dickens on a journey of inward reflection and reminding him not only of the joys of the season but how his cherished works are a gift for everyone who reads them." "In this fast-paced thriller, successful environmental lawyer Abby Williams is brought back to her small Indiana town for work, where Optimal Plastics, a company that has helped rebuild the town and its economy, is under suspicion for water pollution. While investigating the pollution claims, Abby also becomes obsessed with discovering what happened to a classmate who disappeared 10 years earlier after a scandal that left many unanswered questions--a disappearance that has haunted her for years. In both cases, the search for truth leads Abby down a dark path of corruption and secrets. This is a remarkable debut novel and the must-read thriller of this fall." "Michel de Montaigne may have created the essay form, but Michael Perry has perfected it. Readers will enjoy Perry's astute meditations on life as he contemplates subjects as diverse as chickens, marriage, and kidney stones. Known for his trademark Midwestern wit and wisdom, Perry will have readers laughing out loud and then commenting on how profound he is. Well done!" 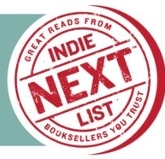 "Soho Crime publishes a wide variety of consistently high-quality crime fiction, so I expected this collection to be a great read, and it didn't disappoint. Not only does it feature holiday capers from a number of my favorite crime authors (Peter Lovesey, Stuart Neville, Helene Tursten, Mick Herron), it was also a great way to sample other Soho authors I haven't read yet. Even if you're not a fan of Christmas, you'll love The Usual Santas!" "I know what this book looks like, and it's true that it's a '90s celebrity's memoir. But the other parts of this book are so remarkable that to limit its description to that would be an injustice. Gabrielle Union is an honest writer and cultural critic. I'm ashamed I didn't know this until now. Her reflections on race, gender, and authenticity in an industry that values anything but are refreshing and ring true. These are the portions of the book that really sparkle on the page. Writer to reader, friend to friend, Union simply shares some of her stories, and I was glad to be a part." "Roddy Doyle is best known for writing engaging dialogue that permeates the pages of his perfect Irish novels. Smile, his latest novel, is no exception. Except with this work, the playful Irish banter not only serves to transport you to the Irish pubs where recently divorced Victor Forde finds himself confronting his adolescence and current sense of belonging, it also leads you to question everything you just read once you turn the last page." "A 'difficult woman' has become shorthand for one who questions patriarchal power and who refuses to be defined by a standard of femininity. The women who populate Gay's story collection are all difficult in their own ways--mothers, sisters, lovers, some married and some single, most of flesh and one of glass--yet they are all searching for understanding, for identity, and for ways to make sense of a sometimes nonsensical, cruel world. Some of Gay's stories are graphic, some are allegorical, and all are important commentaries on being female in modern America." "The Fall Guy introduces its three main characters as they leave the hustle and bustle of New York City for a calm summer sojourn upstate, but things take a Lynchian turn when Charlie and Chloe's guest, Charlie's cousin Matthew, notices what appears to be duplicitous behavior within and outside their home. Lasdun does an incredible job of slowly ratcheting up the suspense, earning the reader's trust with his spare, pitch-perfect language, and upending expectations on every page. Morally complex characters and sensuous prose are just a few of the rewards of Lasdun's latest, and greatest, novel." "Spectrography is a way of studying stars by taking pictures that separate astral light into different wavelengths. The practice was pioneered by Dr. Henry Draper of the Harvard Observatory in the late 1800s, but the long and detailed work of interpreting the images and classifying the stars was done by a group of women. In this long overdue tribute to Harvard's 'human computers,' Sobel, author of the classic Longitude, brilliantly intertwines science, history, and biography, charting progress women have made in establishing themselves in a notoriously male-dominated field." "A lonely teenager in rural northern Minnesota, Linda is desperate for connection and obsessed with both her enigmatic new neighbors and a classmate entangled in a scandalous relationship with a teacher. Narrating these seemingly disparate story threads is the adult Linda, who may have been villain, victim, or bystander in at least one tragedy. Debut author Fridlund weaves a complex, multilayered morality tale rich in metaphor and symbolism. This haunting, meticulously crafted novel is perfect for reading groups!" "I came to this book expecting to be entertained, and it is laugh-out-loud funny. But in the wise and observant ways of Prose, Mister Monkey is more than just a protracted joke. The story begins in the narrow spaces of a theater soon to be demolished for condos and widens as Prose shifts points of view from actor to costume designer to writer to waiter to Hindu deity and back to the stage. Adolescent rage, loneliness, divinity, the end of the world, the beginning of love, the way we fail to live up to our dreams for ourselves, and the unexpected victories that fill the spaces made by disappointment: these are the soul of this novel with an agile, monkey heart. This is one of my favorite novels of the year." "The 'mothers' of this book's title refers to the gaggle of elderly churchgoing women who comment on the congregation around them, especially the trio of Nadia, Luke, and Aubrey. But The Mothers is about more than that—it refers to the concept of motherhood, whether biological, lost, aborted, adoptive, or conflicted. The three young people at the heart of this story are all flawed, but their portrayals are. This is a book about the salvation that comes with self-acceptance and growth. An honest, modern, and triumphant book." "Izzy Poole is 18, pregnant with her erratic art teacher's baby, and without any family or money. Dr. Preston Grind is tragically widowered and estranged from his parents, who raised him using unconventional and unhealthy methods in the name of science. Dr. Grind invites Izzy and nine other couples also expecting their first child to join the Infinite Family Project, an experiment in communal living. This is a fascinating and touching exploration of what makes or breaks a family." "When Major Gryffth Hockaday returns home after years fighting in the Civil War, he discovers that his wife had given birth to a child who later died under mysterious circumstances. Knowing he cannot be the father of the child, he has murder charges brought against his wife. The story of what happened unfolds through letters and diary entries written by Placidia Hockaday and other family members, culminating in a shocking truth. Inspired by actual events, the characters and story that Rivers has created are truly memorable. A unique and fascinating read." "Societal constraints and expectations of the time impede the love affair of Caitriona Wallace and Émile Nouguier from the moment they meet in a hot air balloon above the Champ de Mars in 1886. Émile's ailing mother is pressuring him to marry and take over the family business even as he is facing both public and professional stress as co-designer of the Eiffel Tower. Cait is a young Scottish widow forced to work as a chaperone to a wealthy brother and sister. Cait's and Émile's paths cross and crisscross as Colin vividly captures La Belle Epoque in this quiet, atmospheric novel." "In the early 20th century, albino African American brothers are kidnapped by unscrupulous and racist circus managers who not only steal their earnings from their work as freak show performers, but tell their mother that they are dead. This occurs during the height of the Jim Crow South, when black lives didn't matter and lynching was at its peak. Their mother's persistent and heroic fight through legal channels to recoup her sons' wages and achieve a better standard of living is at the heart of this true story, an inside look at the historical depths of American racism." "Tursten does not disappoint in the ninth installment of her impeccable Inspector Irene Huss Investigation series, moving it forward on a perfect note with Irene and her husband, Krister, beginning a new stage in their lives. One of the things I've always admired about this series, in addition to Irene's strength and intelligence, is the normalcy of her life. I loved this book, but I was so busy racing through it to unravel the various threads that now I need to read it again and savor it. "This book will leave you nostalgic for simpler times and craving a homemade piece of pie! Flagg offers an absolutely lovely story about a small Missouri town from its founding in 1889 through the present and beyond, told through narrative, letters, and a gossip column. I will be recommending this charming and wonderful story to all readers!"